Farewell, Internet Explorer. Make way for Microsoft’s next browser, Edge. Windows users may not know Edge now—in early development it was called Project Spartan—but they will soon, because it will be the default browser for Windows 10. 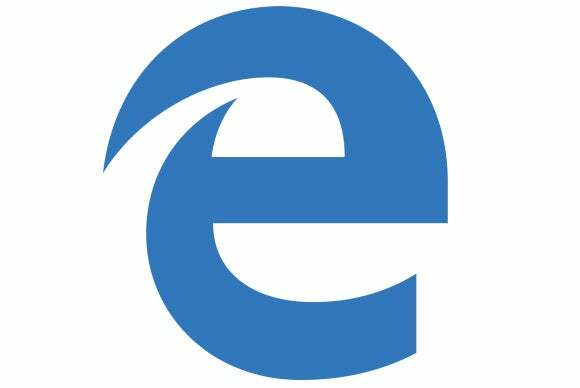 Edge, which won’t run in older versions of Windows, is a radical break from IE, despite sporting a similar logo. “We needed to do more than produce the next version of the browser. We needed a new way of doing things,” explained Charles Morris, Microsoft principal program manager lead on Edge, in a presentation at the Microsoft Build conference last week in San Francisco. Here are five ways in which Edge promises to be a superior browser to the IE warhorse. Around since the dawn of the Web, IE carries a great amount of baggage in the name of backward compatibility. IE 11 comes with a variety of legacy modes, mostly to support enterprises who built internal applications around IE6 or some other older version. The company needed to make a clean break, especially given how quickly Mozilla, Google and Apple were updating their own browsers with little worry about supporting older, outdated technologies. “It wasn’t a fair game,” said David Catuhe, Microsoft principal program manager, in another Build talk on Edge. Edge will not support Microsoft’s ActiveX, Browsers Helper Objects (BHOS), VBScript and third-party toolbars built for IE11, all of which could crimp performance and bring security woes. It will support Adobe Flash and Personal Document Format (PDF). For those organizations and people who still require, or prefer, IE, Microsoft will maintain the browser for at least as long as it supports Windows 10, providing security fixes but no longer actively developing the browser. Thanks to Microsoft’s decision to throw the backward-compatibility baggage overboard, Edge has a leaner, more optimized code base than IE. For Edge, Microsoft forked the core MSHTML rendering engine, and stripped away all the code no longer needed to support backward compatibility. As a result Edge is zippier. Using the Google Canary benchmarking software, the current build of Edge ran twice as fast as IE 11 in recent tests, according to Microsoft. It also handily beat the latest beta 64-bit builds of the Chrome and Firefox browsers in this test. The fork also allowed Microsoft to be more proactive in improving Edge's compliance with Web standards. To date, Edge has over 4,200 interoperability improvements over IE11. Built on Microsoft’s Universal Windows Platform, the browser renders pages more uniformly across different devices, and brings it more in line with other browsers in this respect. This problem has been particularly noticeable on mobile devices, where IE on Windows Phone has struggled to render pages properly. Extension support won’t come with the initial release of the Edge, but will be available by the end of the year. Edge is tightly wired into Microsoft’s Bing search service, and with Cortana, the company’s virtual personal assistant service. When users opt into these services, they can keep track of your actions on the browser in order to gather more context that would, in theory, help you in your travels across the Web. 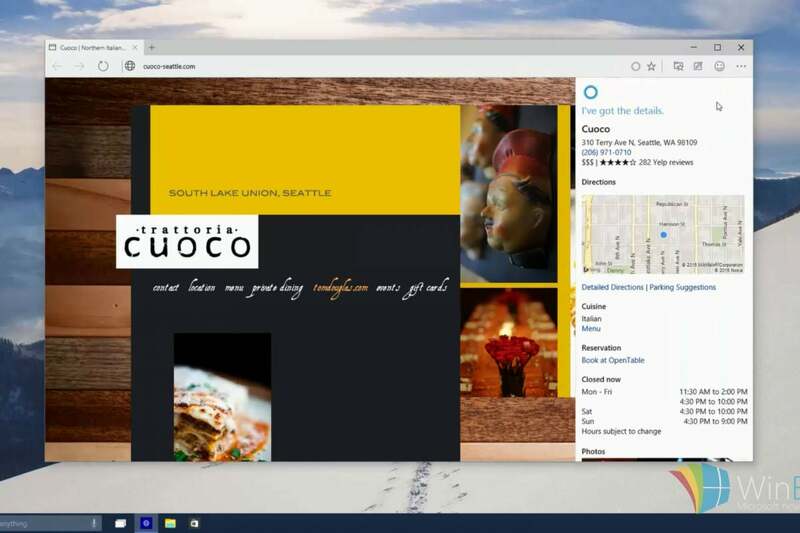 “Cortana is able to infer what you need,” said Sean Lyndersay, Microsoft principal program manager lead for Edge, in another Build presentation. 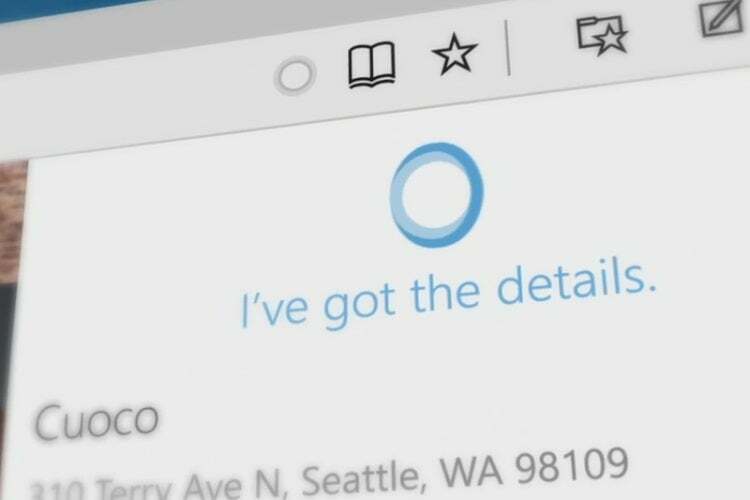 Cortana, Windows 10's digital assistant, is baked into Microsoft's Edge browser. As you type a question in the URL address bar, Edge starts generating possible answers. Typing in the “msft” stock ticker will instantly return the current stock market price and company information. If the user visits a Web page for a restaurant, the browser prepares a summary of information that might be of interest, such as directions, hours, and a link to the menu. Edge can return flight arrival times, and movie show times. In his demo, Lyndersay asked how old actor Brad Pitt was. The browser returned the correct answer: 51. It may even be able to answer technical support questions, according to Lyndersay. Launching the browser will give you a new tab start page with links to your most visited sites, as well as links to news stories and content the user may find interesting, as estimated by your browsing habits. Edge takes a number of steps to improve the user’s reading experience. For one, Edge has less chrome than IE, meaning that the browser frame is less festooned with distracting menu commands and widgets. “We moved things to where they naturally should be, to put your focus on the content,” Lyndersay said. It will also offer a “reading view,” which strips away all the menus, ads and other distracting elements that run alongside the text. Advertisers may not like it, but reading view will reconstruct the page to make it “far more readable and far more interesting,” Lyndersay said. Through a click of a button, Edge will also offer the ability to annotate Web pages. A user can make notes directly on a website, which can then be recalled the next time the site is visited; the browser stores the notes on the user’s computer. Those with touch devices can also draw on top of the site. Annotations can be shared with other Edge users.